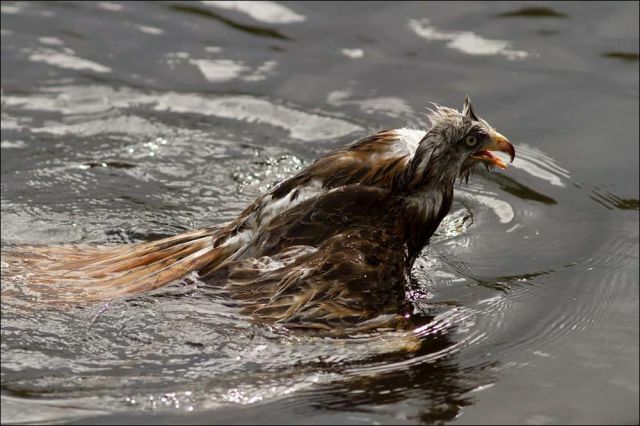 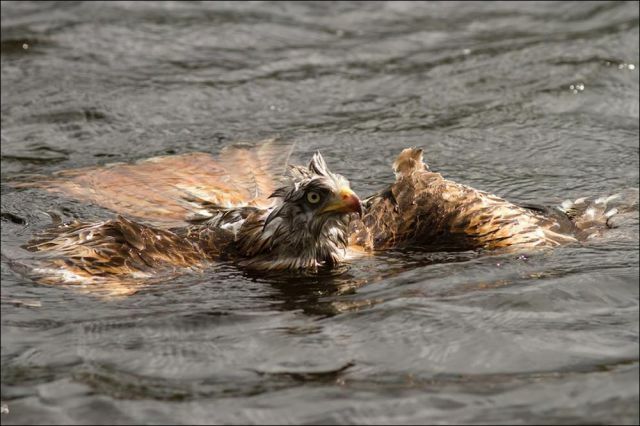 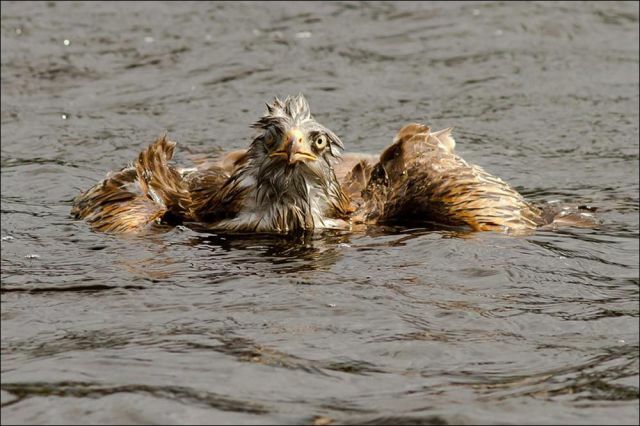 wow... never thought about how helpless a falcon in water was. 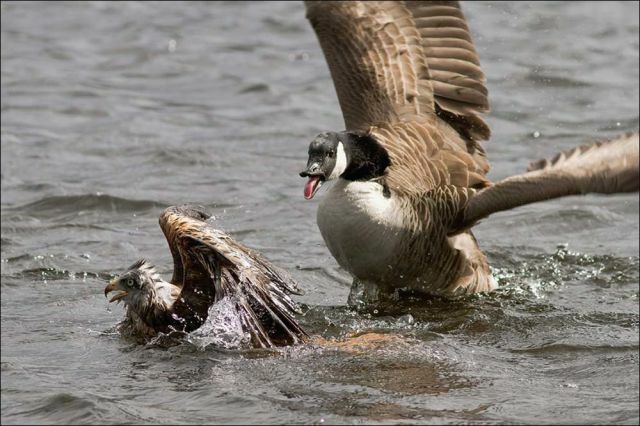 Maybe they should change "duck out of water" to "falcon in water"? 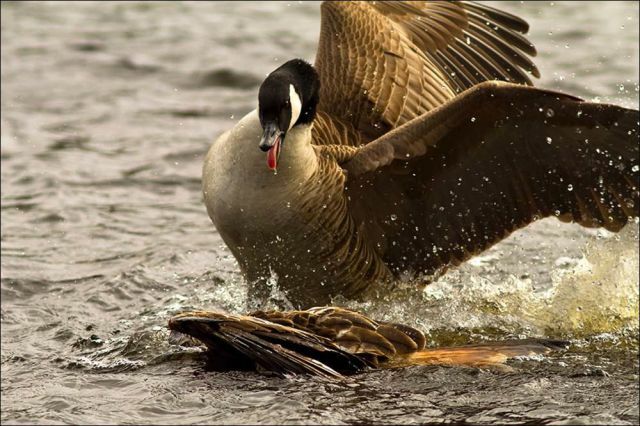 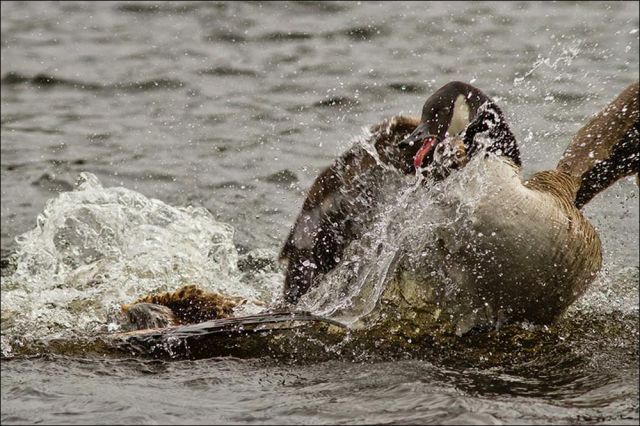 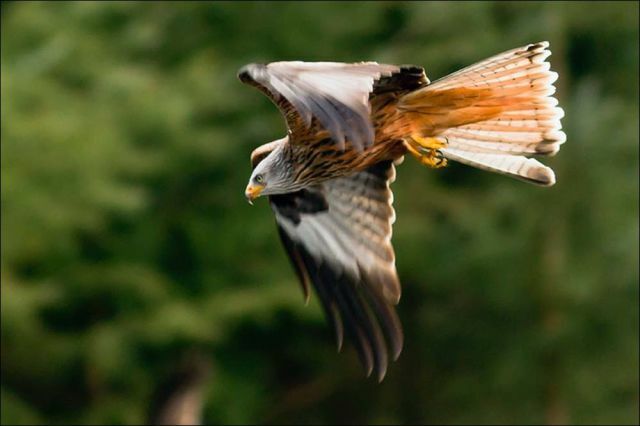 red kite is attacked by canada goose.